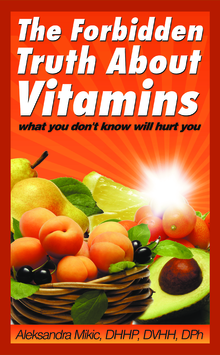 What if everything you think you know about vitamins is wrong - including the basic assumption that vitamin is one particular substance? What if you believed that you were doing everything right concerning nutrition, yet ended up diseased, distressed, overweight, unhappy? Would it mean that disease and mental/emotional wellbeing has nothing to do with nutrition? Or could it be that the ideas about nutrition given to you were false? Rest assured that it is the latter! Written by a holistic practitioner, teacher and author, this book will take you on a crash course of new understanding. It is a fast, fun read full of insights, stories, and unshakeable facts that will change the way you think about vitamins, nutrition and yourself forever.